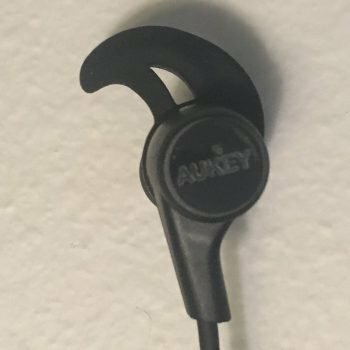 Aukey’s Latitude is a popular and well regarded Bluetooth pair of earbuds. The Latitude Lite, reviewed herein, is a slightly smaller and lighter model that appears to be officially discontinued but is still available on Amazon, and might actually still be “unofficially” in production – sometimes audio companies will keep making old products if second hand vendors can still keep moving volume. The only real difference between the regular and slightly more expensive Latitude (model EP-B40) and the Lite (model EP-B40S) is that the former has three different selectable EQ modes. The regular Latitude also supports the aptX codec but I doubt that’s actually going to make a difference in sound quality. They otherwise have the same build and headphone hardware as far as I can tell. The Latitude is IPX4 certified weather/water resistant, meaning it can withstand anything short of a pressurized stream/jet or full immersion. Packaging was basic but decent enough. The headphones were in a baggie in the partitioned smaller packing piece, and the rest of the accessories were in the larger one. The earbuds and wire supports come kind of far out, but are light enough that I didn’t sense any undesirable weight/force distribution. The buds are magnetic and can stick together on the backs which is kind of neat. The mic is pretty basic and on the left side of the wire. It has standard volume/tracking buttons and a pair/call/power button. The female micro usb charging input is on another side and has a fastened rubber cap. The connecting wire is pretty basic but feels thick and sturdy enough. All in all these are decently sturdy and comfortable Bluetooth headphones with all the expected basic functionality. Since these are Bluetooth only you’ll need to initially charge them first, which took mine about the advertised 1.5 hours. The battery life on the Latitude Lite is ~8 hours which is comparatively OK.
My general impression is that the Latitude Lite sounds good. It doesn’t have any glaring flaws that are often attributable to cheaper headphones. The mids and highs, percussions in particular, had a little bit of sibilance but that’s about it. Cheap Bluetooth headphones often have intolerable hiss/static in the background, but the Latitude’s was pretty minimal. The sound signature is pretty flat and neutral, though slightly bass emphasized with a small downward slope. The mids and trebles were slightly recessed, kind of resulting in a fairly thin sound that felt emptier in the middle. The quoted response range is 20 – 20k Hz which is comparatively average. Other competitors can get lower on paper but the Latitude Lite’s bass definitely felt full and present. There was a little bit of mud and bleeding on some songs but it held together for the most part. Some low drop notes lost a bit of volume and pitch. The power and volume felt solid – these were able to get loud enough very easily. The isolation I’d put somewhere sightly above light towards medium. Theses should be fine for basic ambient noise with commuter use but might not cut it for really noisy environments. 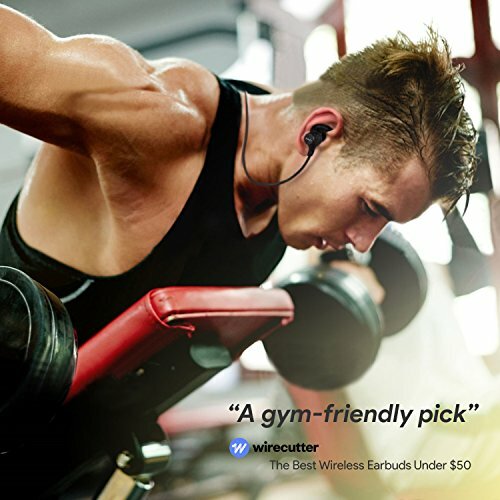 Aukey offers a 2 year warranty on its wireless earbuds which is comparatively good coverage at this price-tier. 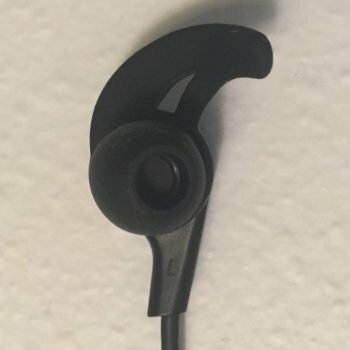 The Latitude Lite is a solidly good sounding, decently comfortable, and decently well built and sturdy weather/water resistant wireless earbud for the modest price. I also wouldn’t be surprised if it became further discounted if Aukey decides to just clear out the remaining inventory of this officially discontinued product.